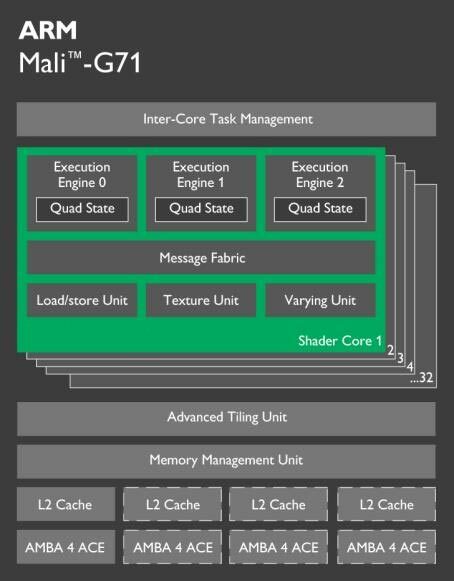 The designer of smartphone processors and smartphone GPUs ARM has announced two new chips called ARM Mali-G71 and ARM Cortex-A73. As you can see from the names the first chip is a graphics processing unit, while the Cortex-A73 is a new smartphone processor. Both chips are expected to power smartphones that will appear next year. The Mali-G71 GPU is based on the so-called Bifrost architecture and according to ARM the chip will deliver 50 per cent more performance, 20 per cent better energy efficiency and 40 per cent better performance-per-watt compared to the older Mali GPU generation. The Mali-G71 includes 32 execution units, which is double compared to the 16 units located in the Mali-T880 GPU, which is the best GPU of the previous generation. 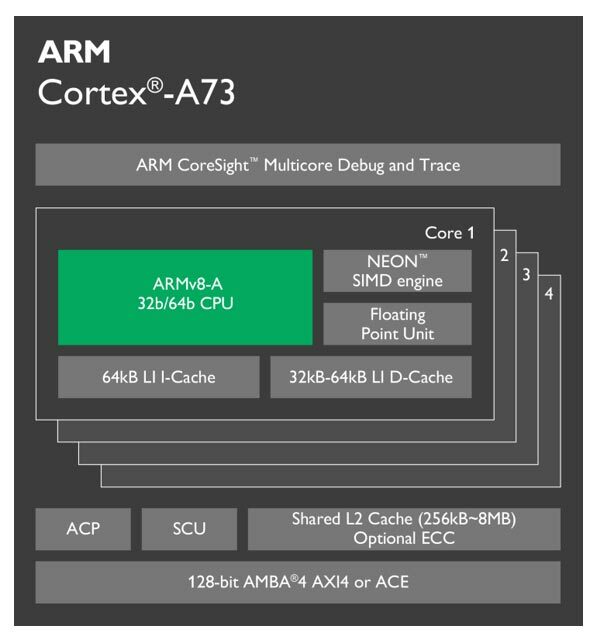 The ARM Cortex-A73 processor is the most compact Cortex chip ARM has produced to date. The core of the Cortex-A73 is made on a 10 nm FinFET production process and has a die area of just 0.65 mm². In addition to this the Cortex-A73 will be 30 per cent faster than the Cortex-A72 processor.